Is Spider Vein Therapy For You? More common than varicose veins, spider veins can be caused by genetics. Spider veins are often worsened by hormonal causes, sun damage and/or sedentary lifestyle. They can occur at an early age, often first seen in the early twenties. In the spider vein therapy used by Advanta Total Health, a medication is injected into the spider vein via a very small syringe (with a needle under magnification). This type of “Sclerotherapy” is popular in Europe and requires a dedicated, patient medical professional to perform the procedure properly. An alternate method of spider vein therapy involves the use of specialized lasers to target the blood within the spider veins. There is very little downtime following the procedure. Most patients are able to resume their daily activities as soon as the procedures are performed. A special note here is that, contrary to popular belief, spider veins do not go away on their own… so procrastination will lead to them getting worse. 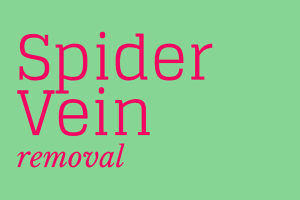 If you’re interested in Spider Vein Therapy, please give us a call or request your appointment below. Advanta Total Health is located in Marietta, Georgia, 30067, and offers cosmetic treatments, along with a variety of other treatments, to promote health and wellness.